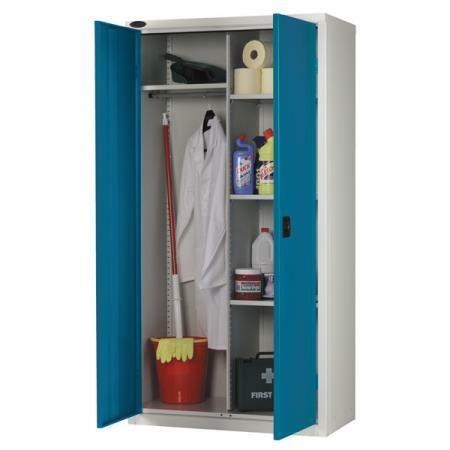 Our janitors cabinet is ideal for cleaners and caretakers to store away spare clothing, mop & buckets and cleaning products. 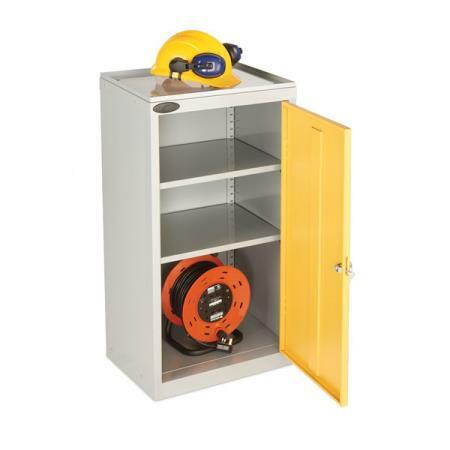 The janitors cupboard range features a selection of robust steel janitors cabinets ideal for use in the workplace, offices and schools. 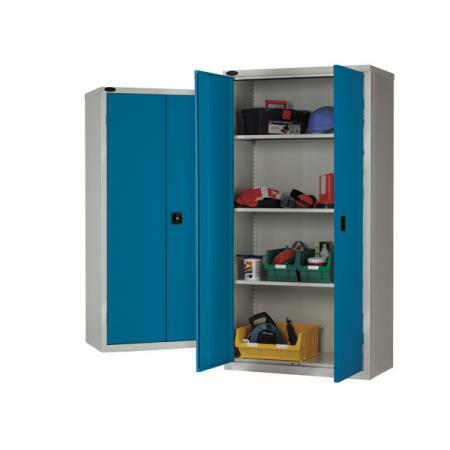 Providing a place to store office stationery, files and storage products or cleaning supplies and office equipment, all in one lockable place. 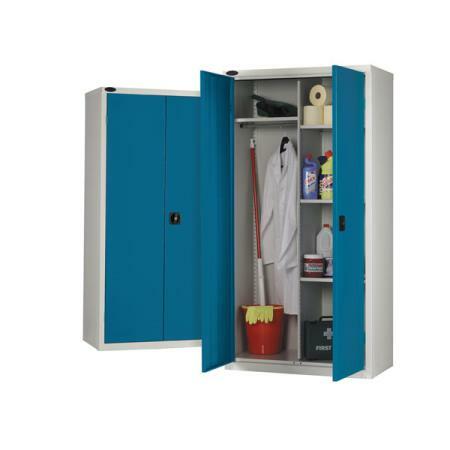 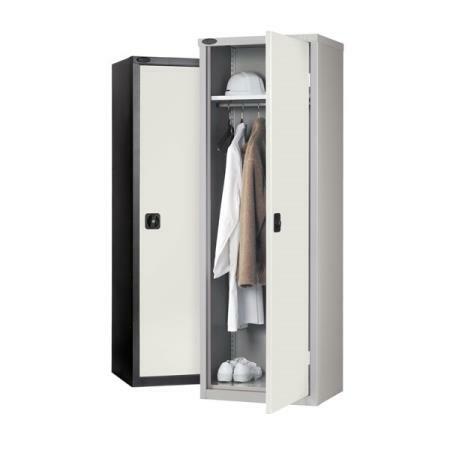 Choose from five different storage units including janitors cupboards, wardrobe cupboards or 8 and 12 compartment cupboards. 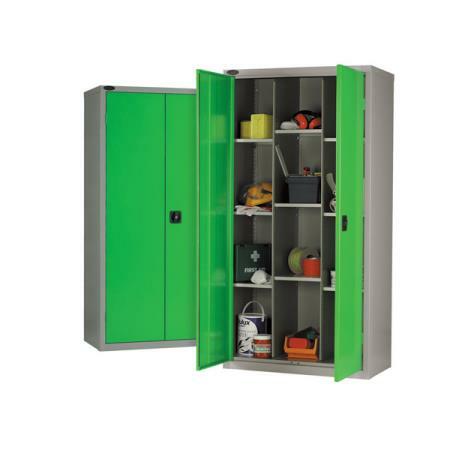 The 8 compartment steel cupboard and 12 compartment cupboard features adjustable shelves so you can position them where you like. 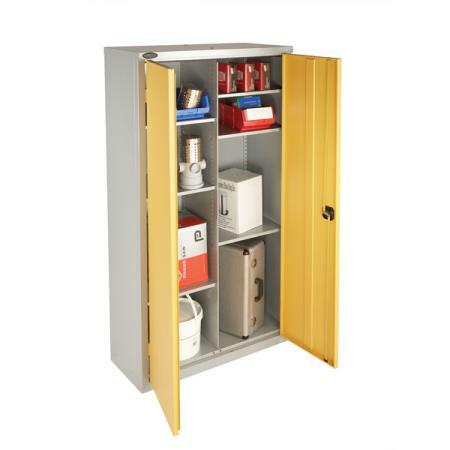 Section the cupboard to store away various products in different sections neatly. 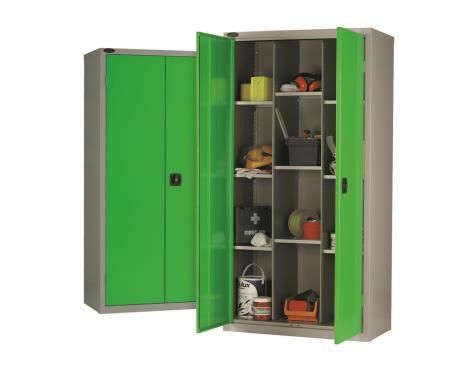 All steel cabinets allow up to 65kg UDL of storage. 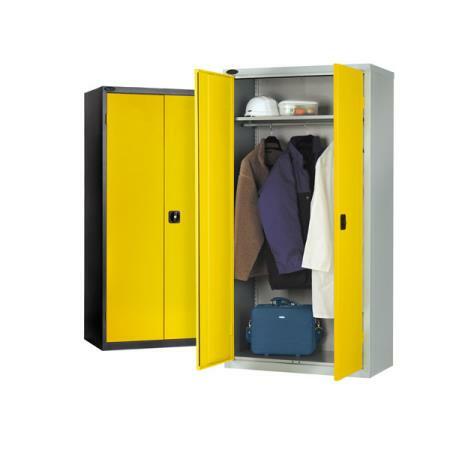 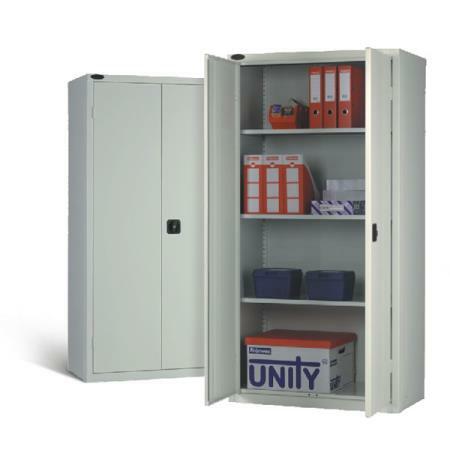 Alternatively, we have an industrail range of cabinets suitable for storing up to 85kg UDL.